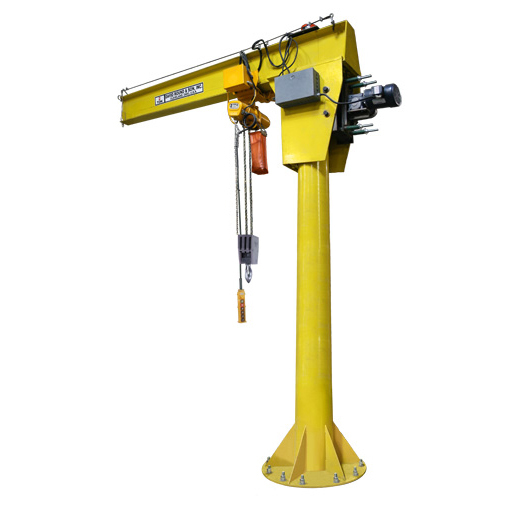 David Round free standing motorized jib cranes relieve operator strain in both high capacity and high-use applications with the Roto-Mate™ and Roto-Max™ jibs. Our motorized free standing jib cranes reduce the risk of damage to products and machining centers with positive jib control. 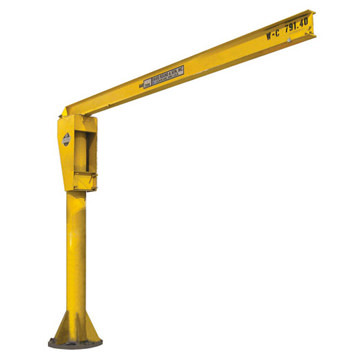 Our jib cranes are often utilized in industrial applications where ergonomics and efficiency are critical. They accurately position loads by rotating the boom. 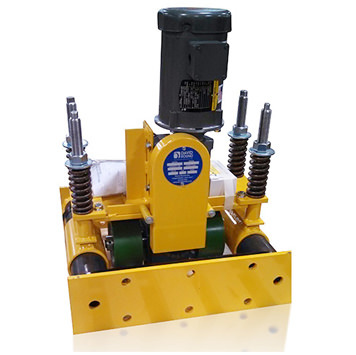 Custom designs and complete lifting systems including hoist and power feeds are available. Ideal for over-crowded areas, David Round’s motorized wall mount jib cranes rotate with the push of a button. Roto-Mate™/ Roto-Max™ reduce the risk of damage to products and machining centers with positive jib control. 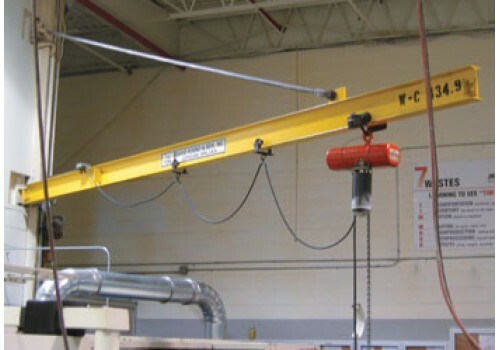 Our motorized wall mounted jib cranes help to relieve potential operator strain and injuries. Accurately position loads by eliminating jib over travel. RETROFIT KITS FOR MOST JIBS! Abell-Howe, Bushman, Contrx, David Round, Grainger, Gorbel, Spanco, Handling Systems, Inc., McMaster-Carr & Others.